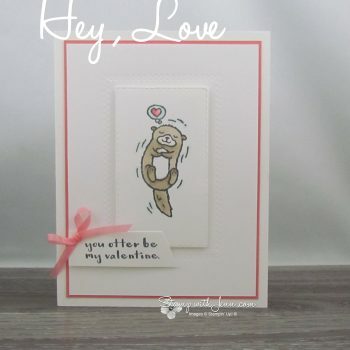 The Hey Love stamp set is adorable and perfect for Valentine’s day cards. 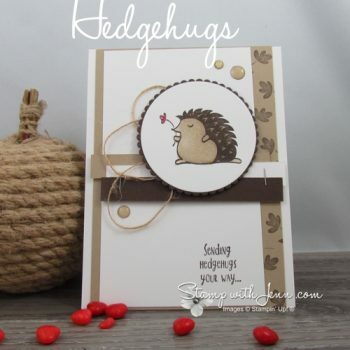 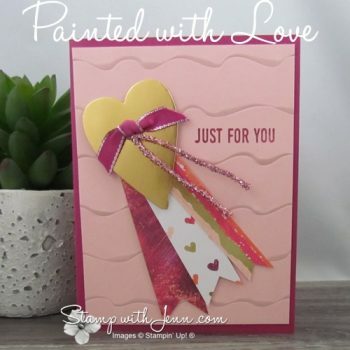 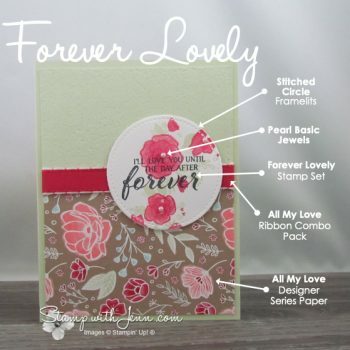 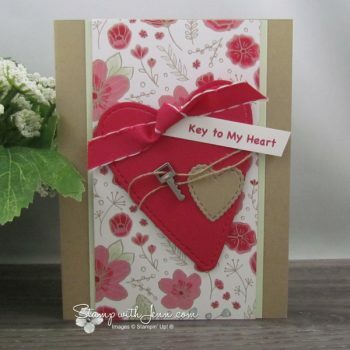 Combine it with the “All my Love” Designer Series Paper from Stampin’ Up! 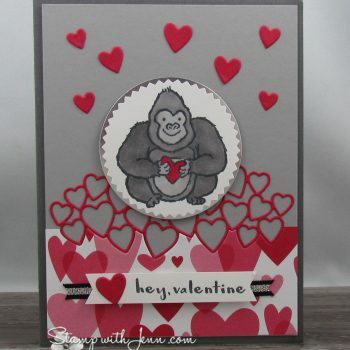 for a super cute card. 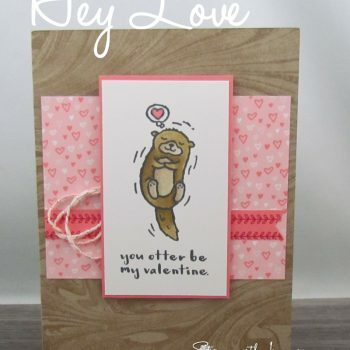 “Hey Love” is an adorable Valentines stamp set with some punny sayings and cute animals. 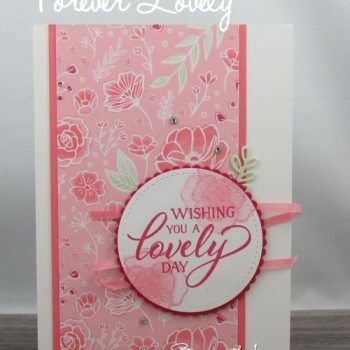 Post includes a Big Shot Guide to Embossing Mats.